Tammany represented a form of organization that wedded the Democratic Party and the Society of St. Tammany ( started in 1789 for patriotic and fraternal purposes) into an interchangeable exchange. The weave of city politics was the triangulation of the Mayor’s office, the Democratic Party and the social club organization. 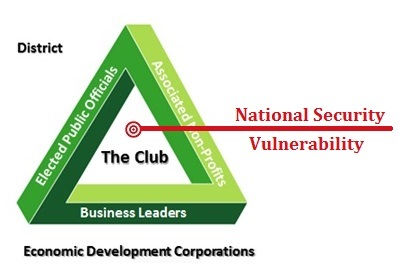 In the modern edition of Tammany Hall for All, the Democrats under the Lyndon B. Johnson Administration set up the framework that provides the pathway to federal money (tax dollars) for “The Club”. That path to the money provides the draw for local public officials and business – including non-profit businesses. 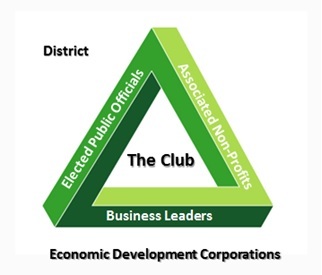 The structure is essentially a cell with the nucleus being the District Economic Development Corporation recognized by the Economic Development Administration. 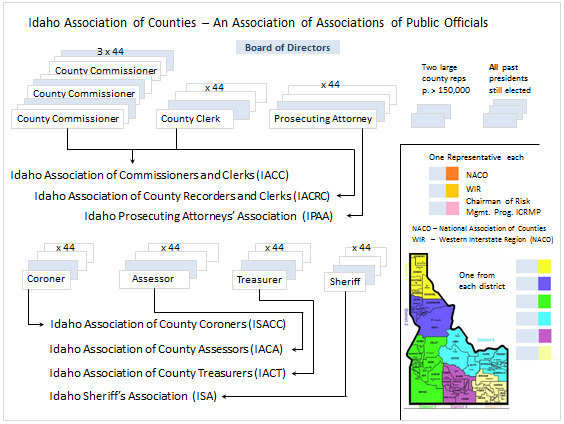 The organization of the machine is that there are multiple counties in a district and the districts are organized into a regional association called the Idaho Association of Counties (IAC). It doesn’t matter that the quote came from the Region IV CEDS. It applies to the other five districts as well. The organizational structures are virtually the same. Notice on the chart above in the box on the right hand side, one of the Board Members is the Chairman of the Risk Management Program ICRMP. 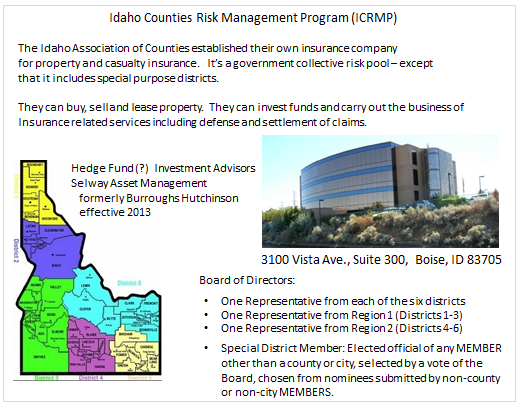 The ICRMP is the Idaho Counties Risk Management Program. The associated members of the counties established their own casualty and risk pool. In other words, they established their own insurance company. 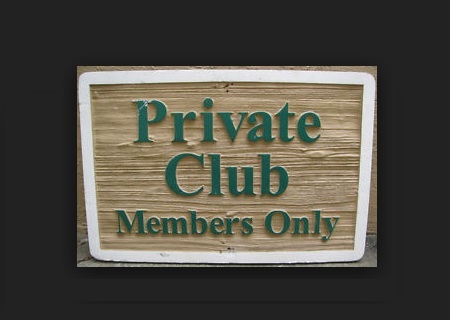 Membership is not limited to the counties, cities and ‘special districts’ can join as well. National Associations are lobbyists for laws, regulatory authorities, programs and federal funding. 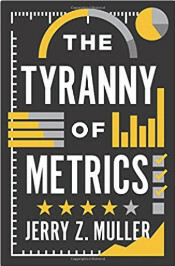 The entire structure beginning with the collectivization of public officials across jurisdictional boundaries is a political machine that exists to serve themselves and their constituents that are the member businesses and the associated non-profits. Non-profits may have clients who have needs but first and foremost, the non-profit is a business in the services industry and the status of non-profit just relates to the accounting rules for their income. That’s it. The voters are irrelevant to this political machine because the power of the machine does not derive from the voters in any direct way. The distribution of elected officials on the Board of Directors ensures that they can operate in the interest of their members without regard for citizen/taxpayer interests. Their spendable cash comes from membership dues (paid for by the constituents of the counties) and from federal grant writing and from contributions that include Foundations. 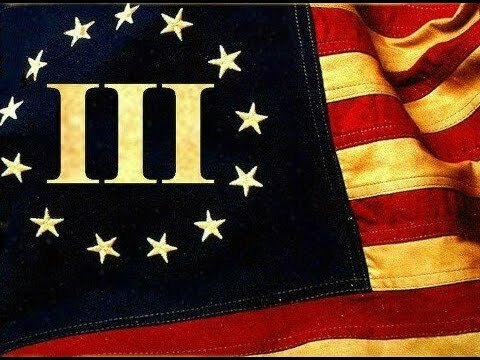 It also comes from planning projects that include federal programs such as “sustainable development” which is Agenda 21. Local elected officials may disagree with the programs but are really powerless to stop them once the political machine moves in a particular direction and they have moved in the wrong direction on too many fronts to count. 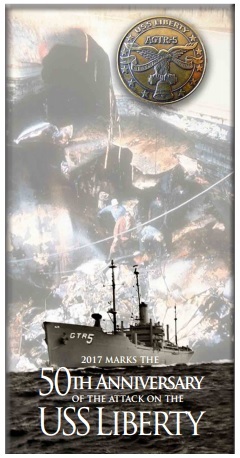 They are the tail that is wagging the dog and we need to bob it. 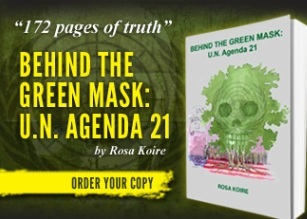 Rosa Koire of The Post Sustainability Institute and Democrats Against U.N. Agenda 21 and Michael Shaw of Freedom Advocates and the Globalization of California filed a lawsuit in the California state court to stop a plan of the Association of Bay Area Governments (ABAG) to institute district level, consolidated planning and zoning for a nine county region in the Bay Area. 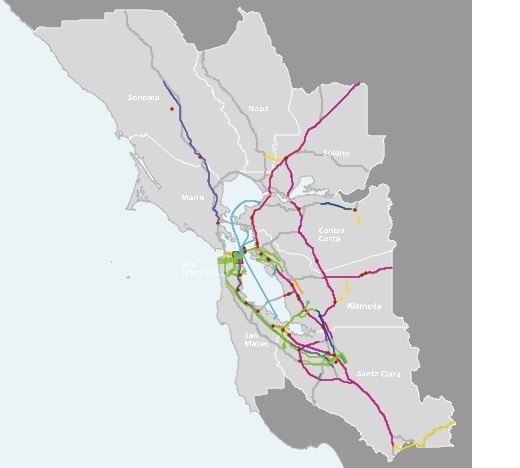 The One Bay Area Plan is a purely fascist attempt to take unelected governing power over the lives and property of people living in the region. Below is a map of the region covered by the ABAG plan. 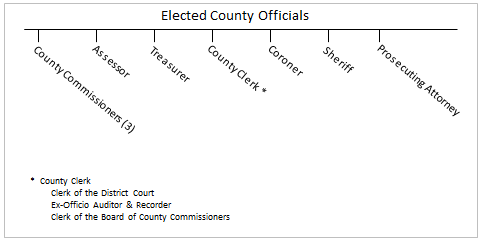 Notice that one of the counties is Santa Clara County. Santa Clara County is the home of Silicon Valley. You probably don’t need to be told that Silicon Valley is – the tech center of the universe – at least in the United States. The significance of pointing that out is to highlight the cell of power within the district organizational structure. It includes businesses and public officials as described above. In Idaho, the businesses don’t have much national power except for the INL, Simplot (Micron), and Hewlett-Packard but the collective economic and political power of the Associated Governments of the Bay Area (ABAG) is, comparatively speaking, like the sun to a flashlight and with the voters in Idaho and California collectively being mere fireflys. The One Bay Area Plan put forth by ABAG does not affect Idaho directly. 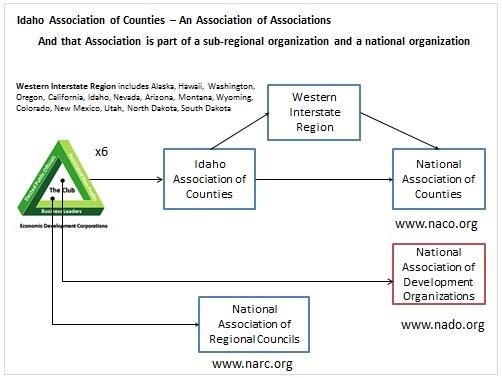 But the organization of ABAG as a multi-county jurisdictional region within the collective of California counties within the Western Interstate Region (WIR) within the National Association of Counties (NACO) does effect us because the lobbying they do for their counties become programs for our counties in Idaho. The best example would be the plans for public transportation. 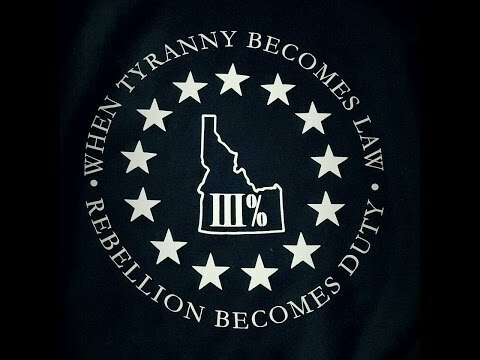 It’s a ridiculous waste of money to even talk about it for Idaho because we don’t have the population density to even warrant consideration but that fact is irrelevant when the programming and the money coming from the federal government is one-size fits all collectivism and the economic development districts exist to the federal money to implement them. It’s pretty safe to say that the collective power of ABAG is the source of the Technocratic Tyranny. 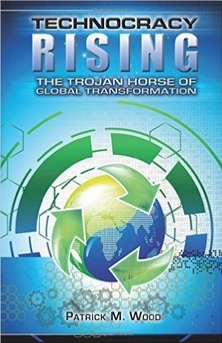 It was the Silicon Valley tech firms along with IBM and GE that were behind the “reinvention of government” which was the corporatization of government to utilize the capabilities of technology at a national level with the participation of “public-private partners”. 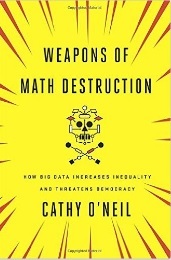 For the technology corporations the incentives were the obvious – profit. The fact that collectivism imposed by computer systems changes our form of government was irrelevant to the tech firms because the profits in collectivization were so great and the efficiency message was an easy sell to a mostly technically ignorant Congress. The organizational structure of collectivization of counties into districts and districts into state-wide collectives partnered with business is the source structure of our national security vulnerability because under the World Trade Organization, foreigners could buy businesses and import their foreign workers to our shores. Effectively they were buying into our governing structure while We the People were unaware. The following video is from forum put together by Michael Shaw and Rosa Koire bringing together some of the best minds and most dedicated activists who are working against the globalization of governing power through regionalization. While they are talking about California, everything they are saying applies to Idaho on a smaller scale. 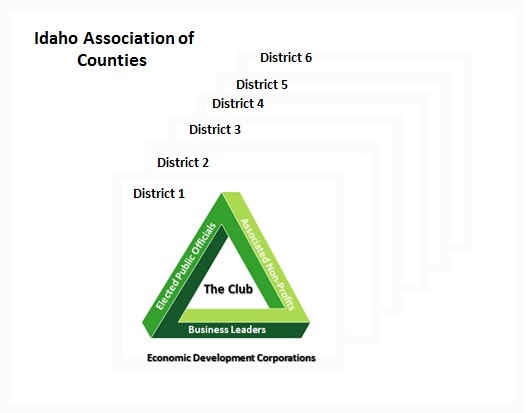 The multi-county economic development districts are regional organizations and the Idaho Association of Counties is the regional organization that encompasses our entire state. This is what I call the “closed loop.” They write laws favorable to themselves using taxpayer money, they enforce the “laws” themselves using taxpayer money, they adjudicate using taxpayer money and they penalize or incarcerate using taxpayer money. So, the only way out of our quagmire is to starve the tyrants out of existence. And, since money is the lifeblood of big government, that means to pull the feeding tube. Yes, one can be put in jail for refusing to pay taxes. But there are other ways: stop feeding the beast. The beast is Microsoft, Google, the international banks, the “smart”phones, the fast food empires, etc. and the Agenda21 adherents. But, looking around at my neighbors, I’ll wager that not one in 100 would stop doing business with, or even take one simple step to starve the beast. They are, in one simple elegant word: feckless.